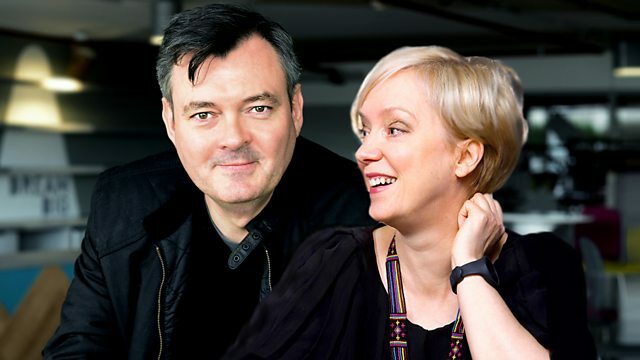 BBC Radio Scotland - The Afternoon Show, AVENGERS: INFINITY WAR co-director Joe Russo in conversation with Grant Stott; Young Fathers talk to Nicola Meighan. Nicola Meighan is in conversation with Mercury Prize and Scottish Album of the Year Award-winning Edinburgh band Young Fathers about new album Cocoa Sugar, Grace Jones and more. Steve Ellis of Love Affair talks to Grant Stott about writing Everlasting Love, his life and career, his opinions on Scotland and his new album Boom! Bang! Twang! Joe Russo, co-director of Avengers: Infinity Wars, is in conversation with Grant, talking about filming in Edinburgh, working with actors including Robert Downey Jr, Scarlett Johansson, Benedict Cumberbatch and Chris Pratt, his Avengers fantasy football Whatsapp group and much more. Nicola Meighan talks to Young Fathers about their current album Cocoa Sugar, their tours of European and US festivals, their upcoming dates with Massive Attack, how they come up with ideas for their album cover art, music, art, Leith and much more. Graeme Simsion and his wife Anne Buist talk about working together on their new book about walking the Camino Way, Two Steps Forward, which has had its film rights optioned by Ellen DeGeneres. Grant talks to director Andrew Panton and actor Eleanor House about a new production of Passing Places, marking the 21st anniversary of this much-loved play by Stephen Greenhorn, who also wrote Sunshine on Leith. We hear journalist Dave Howard's report from when he took to the streets of Edinburgh to find out people's reactions to the filming of Avengers: Infinity War. Elaine C Smith and Kay Mellor on Fat Friends: The Musical, Film Review Day and a Look Ahead to Record Store Day.